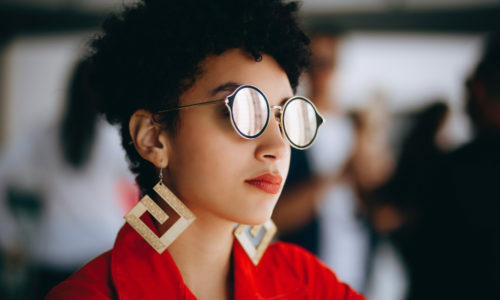 If you’re always struggling to find thoughtful gifts for that enigmatic person in your life, then Ginger Pickle is the quirky online boutique for you. 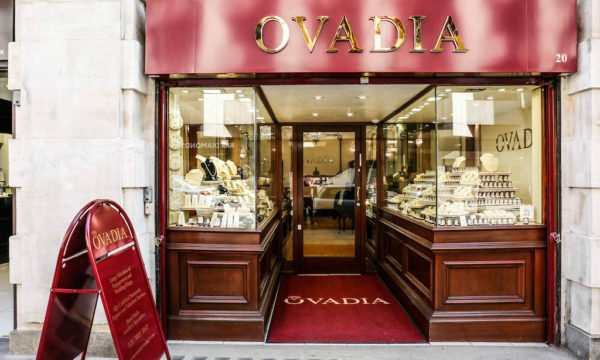 Stuffed full of original gifts by talented British designers, you’ll find something for everyone and maybe even a few bits for yourself! The lady behind Ginger Pickle, Jade Murray, proudly supports independent British makers. She owns and runs Ginger Pickle, filling her shop with only the best of British craft and design. 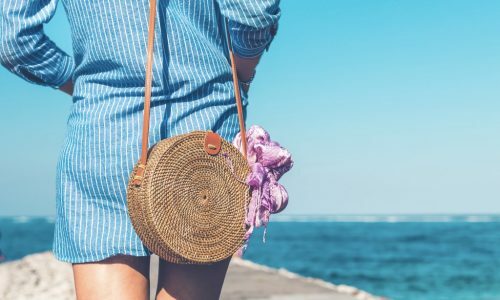 Home to handmade jewellery, accessories, stationery and homeware, Ginger Pickle’s range of products is definitely worth exploring. When picking out a present for a girlfriend, jewellery will never be unappreciated, but this pretty pendant locket is so gorgeous I’d much rather have it for myself! 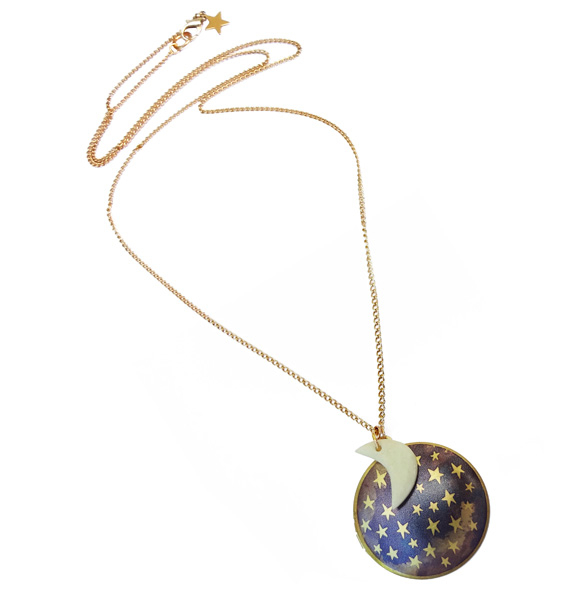 Made by Bonbi Forest, it features a shell moon and an original starry night illustration by Lee May Foster-Wilson, which has been hand applied and preserved under a protective glaze. Everyone loves cute stationery! 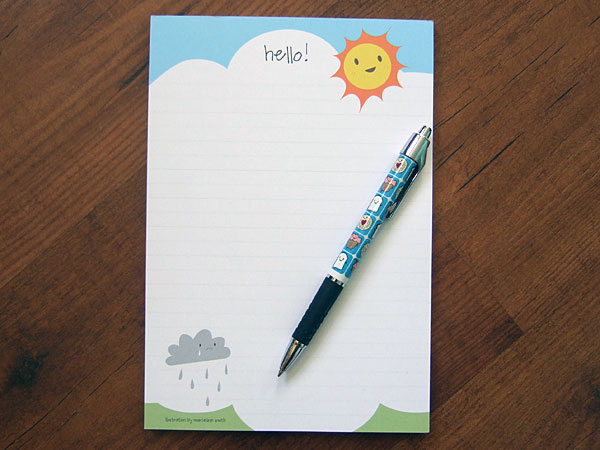 It doesn’t get much cuter than this adorable little notepad, complete with happy sun and sad cloud. These professionally printed writing pads are adorned with Asking for Trouble’s original illustrations. Plus, they’re ever so lightly lined, so ready for a neat letter or random doodles! Harry Potter will never be over! Especially not if everyone starts wearing these badges. Made by Twiggd (clearly a die-hard Potter fanatic) using a pyrography pen, the designs were burnt onto solid sycamore and hand-painted, then finished with a layer of shiny resin. If your heart belongs to Harry then you need the “Harry” badge, finished in Gryffindor red and gold. 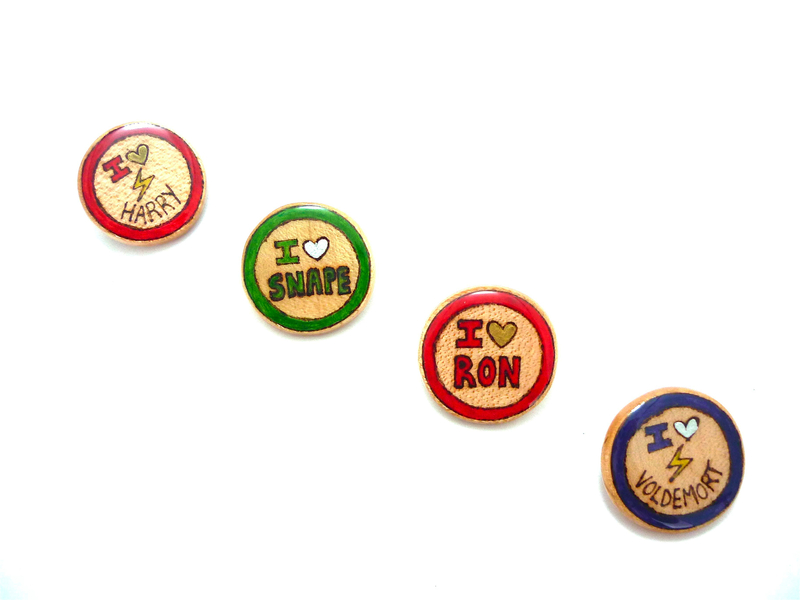 Twiggd’s other Potter-inspired badges include one for Ron, Snape and even Voldemort (but where’s one for Neville Longbottom?). Wear with pride to show where your allegiances lie! What collection of British design is complete without a multitude of mugs? We are a nation of tea drinkers, after all! Tea-drinking is that much more enjoyable when you drink out of a special piece of crockery. Ginger Pickle’s range includes a number of beautifully illustrated and hand-painted mugs. 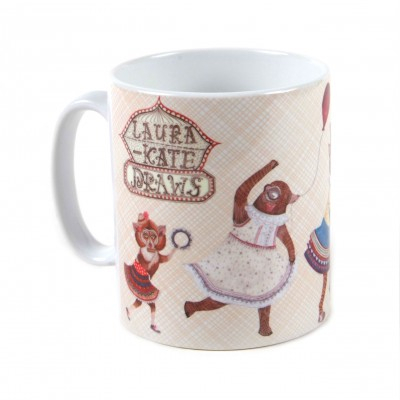 The quirky and cute Roll Up Roll Up mug is part of a series of bespoke mugs from the Laura-Kate Draws range. The mugs feature hand-painted illustrations that have been professionally transferred onto ceramic mugs with extra special care. 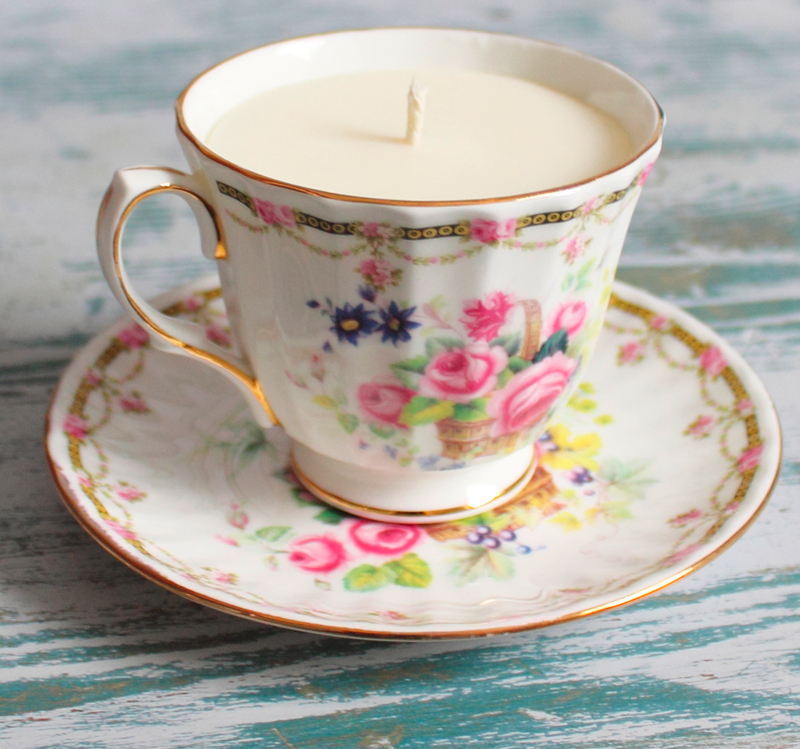 Speaking of tea, teacups are not just for tea anymore: The Lime Garden has created a range of stunning and beautifully decorated 1960s-style tea-cup candles, made from EcoSoy wax and scented with lavender and bergamot fragrance. And how awesome is the fact that once you’ve burned your candle, you can easily clean it (just not in the dishwasher!) and use it for a cuppa when you’re feeling fancy? With free worldwide postage on all orders, there’s no reason not to start shopping right away! 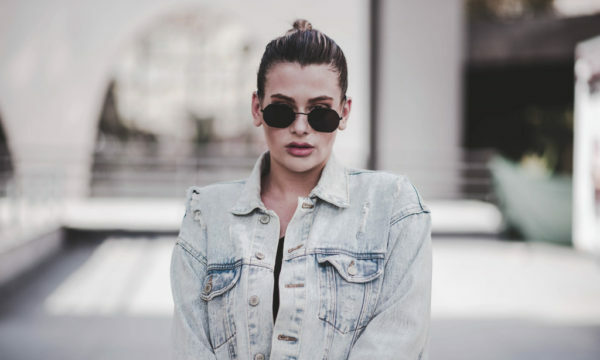 – so click here.